In the last two years one of the busiest market for Hindi dailies has been Madhya Pradesh (MP), the second largest state of the country in terms of size and the seventh largest in terms of population (60,348,023). The state has a literacy rate of 64 per cent (census 2001), the number of people who can read Hindi is 29,213,000 and the audience that reads any Hindi daily is 4,770,000 which include 3,608,000 individuals with an urban background. This shows there is a major gap that can be served so it automatically becomes a prominent battle ground for Hindi publications. If we see further the urban part that can read Hindi is 11,181,000 individual so the major potential lies in rural part. Rajeev Karwal, Founder, Director and CEO, Milagrow Business & Knowledge Solutions, explains, "It is still the second largest Hindi market after Uttar Pradesh but is a bit better on penetration. I am sure that the Hindi print medium has still a lot of growth left in it. I feel that MP can keep growing at 5-8 per cent per annum for next 10 years." Janardhan Pandey, Business Director, Mudra Max says, "MP is getting prominent year by year, more over with the boost in the economy the stakes are high now, particularly in Bhopal and Indore. It will see major print activity in the coming 10 years. 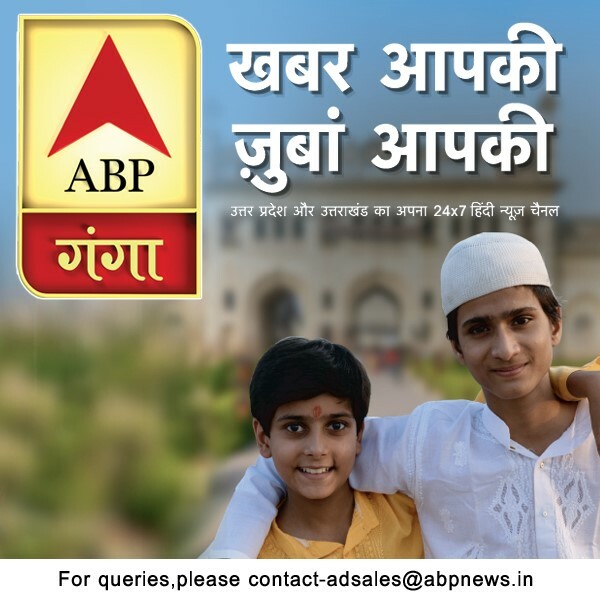 So if any Hindi publication is looking for readership boost it becomes very important market." The state has over 10 Hindi dailies present in the major cities which show differential leadership in each city. 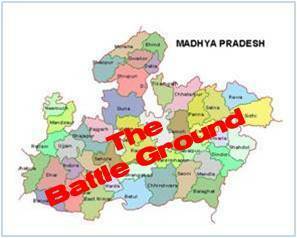 Most of them are present in capital and economic capital of the city, Bhopal and Indore respectively. Pandey further says, "When you look at the market most important cities are Bhopal and Indore so 60-70 per cent spends happens for these cities itself." There are many players who entered the market in last 2 years of time and are spreading their foothold across the state while there are many players tightening up their shoes to launch in the near future. on this SS Kataria, VP Marketing, Haribhoomi informs, "This mad rush is because there was a big gap between number one and number two players in this market." on the similar tone Ashutosh Shrivastava, CEO, Metro Daily News India Pvt Ltd briefs, "It's an important Hindi market and has not been explored, so prominent Hindi players are trying to spread their wings in that market." According to Arvind Kaliya, National Marketing Head, Patrika Group, one of the new publication in the space elaborates, "Madhya Pradesh has been a monopoly market for a long time. There was a tremendous scope and latent demand for a sizable player in market. That's why Patrika decided to enter MP market about one and half year ago." The publication has spread its reach in four major cities. Kaliya further said, "Our next destination will be Gwalior edition very soon, which will make our Madhya Pradesh expansion complete in less than two years"
With the entry of a new players, what is the key to keep the readership intact? One of the oldest and major players of this market, who didn't want be named, shares, "Every market goes through the restructuring whenever a new player enters. MP is no different. Content always rules in any market, so launching is okay but sustaining is what is essential and hence only serious players will have some real role to play." Agreeing to this Vineet Sethia, Director, NaiDunia Media said, "I think a general trend amongst newspapers, especially here in Central India is differentiated offerings for the readers other than news. We are no exception. But what matters for the reader are the content quality and the reliability of the news. This is where NaiDunia scores over others. The competition has actually helped us evolve as a product and a brand." Shrivastava also sees the positive part from readers' and advertisers', he says, "Readers will get better quality material to read and advertisers will get more options and better price." If we talk about the advertising size of the market total Print Media advertising spends in 2009 was estimated at Rs. 670 Crores (source: MAP). Pandey believes, "For MP 35 per cent advertising comes from outside the state while 65 per cent is contributed by local advertising." But Kataria strongly believes, "Advertising market size is something really tough to tell as the way the advertising rates are going down its hard to assess the exact number." Himanka Das, Associate Vice President, Lintas Media Group informs, "10 years back it was looked as a spillover market. In the last decade MP features as a P1 and P2 markets amongst key advertisers and marketers. Fragmentation is the order of the day. That's where we bring in our expertise to prioritise target segments and right media vehicles to optimize media investments. But yes! The principle of 80:20 ratio do holds good, as it is applicable in any marketers marketing plan. "So how good or bad is the competition getting due to the year by year fragmenting market? Kataria strongly answers, "In next two years everyone will be on the edge, as each may have to compromise on the cost". To sell a single copy every publication has to shell out goodies for the readers, which includes cost of print and the goody bag, so how long will a publication survive and that is why I believe the next 2 years is going to be very critical for the market." On a positive note, Das thinks, "There will always be room for expansion of readership by changing the content or appealing to the content from the increase in the base population." On the advertising perspective he says, "Fragmentation of media is good for any market in India, however for the leading marketing brands which would concentrate to the segment of population which will contribute 60-70 per cent of the revenue which can be reached out to 70-80 per cent of the market share of a publication." So is there still a space for new entrants or is the market still cluttered? Pandey explains, "The market it not saturated if any new entrant is going to come and put their efforts in a planned manner they can definitely make difference and create competition. We cannot call it cluttered as I don't see all players serious, they do a lot of media initiative but there is no impact on ground. So there may be twenty titles but it is only the top players who are serious." Having heard from all the players the scenario reminds us of something similar that happened in Mumbai market couple of years ago. There was a huge gap between the number one English publication The Times of India and Mid Day, which held the second position. This opportunity was later very well utilised by DNA and Hindustan Times who created a substantial market space for themselves and it didn't exactly affect the ad rates for both the leaders. With the 5-8 per cent growth rate of MP, the state definitely holds a good potential for the future of any business and for Hindi publication industry as well .We hope like the Mumbai print market it also goes through a correction phase and stabilises itself. We at Adgully will be keeping a watch on all the players in MP and share the outcome of this battle which has just begun.